Baku has gone through a hyper-growth period in the last few years as a result of Azerbaijan’s oil boom. This has resulted in the growth of the city outwards and upwards, with modern high-rise buildings as far as the eye can see. However, it has managed to preserve its unique old town which, with its labyrinth of narrow streets. Although our office was located in the old town, I had never fully explored it. So in the company of my colleague Gibet and a local guide, we enjoyed a history filled visit to the sites and sounds of old Baku. My colleague Gibet and I decided that we wanted to see some of Baku so we arranged a car and driver for a day and headed out to the Ateshgyakh – the “Fire Worshippers’ Temple” of Baku. 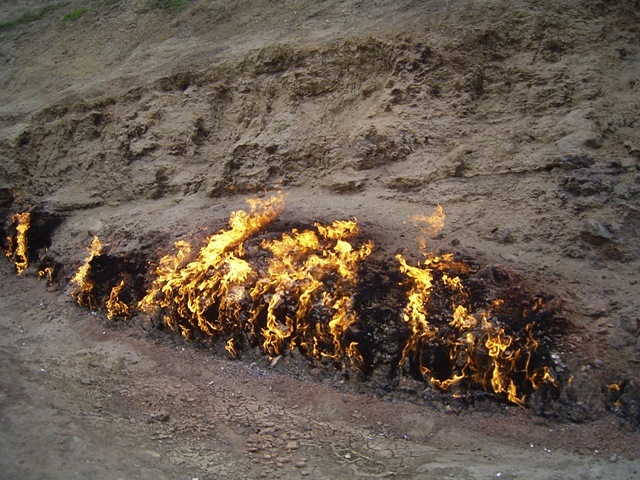 Azerbaijan is famous for its oil and gas reserves. Long before they were exploited for commercial purposes, the fires played important roles in religious ceremonies. You are currently browsing the World Bank Traveller blog archives for October, 2008.